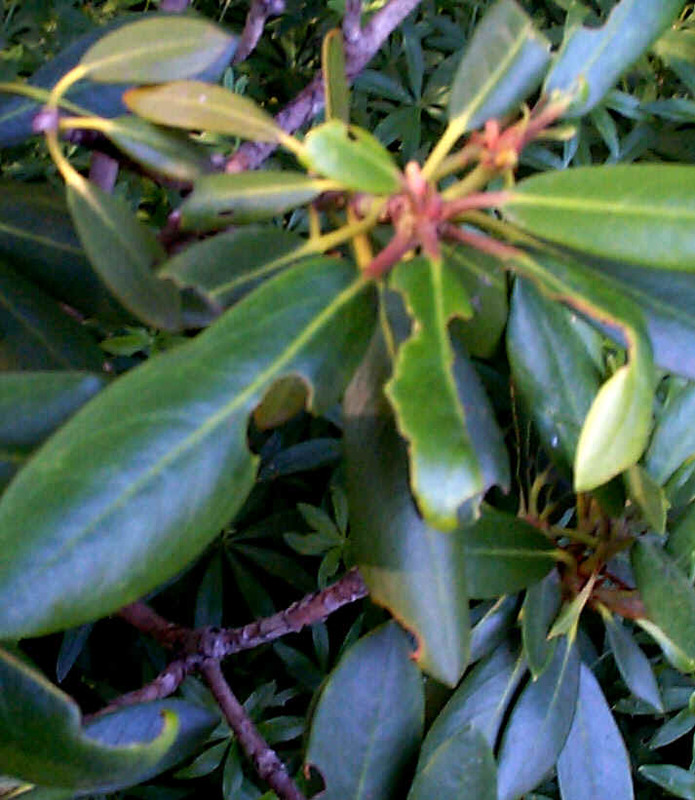 Notching of leaves on Rhododendrons, Azaleas, and other woody plants. This damage is done by the adult root weevil. It is a small beetle-like insect that is hidden in the soil under plants during the day. Night time finds it crawling up the plants to feed on the leaves of many plants. The grub larva of this pest causes even worse damage as it feeds on the roots of these plants and also perennials. The adults damage is not as severe as the damage caused by the larval stage. Plants are weakened often to the point of death by the feeding done by them. 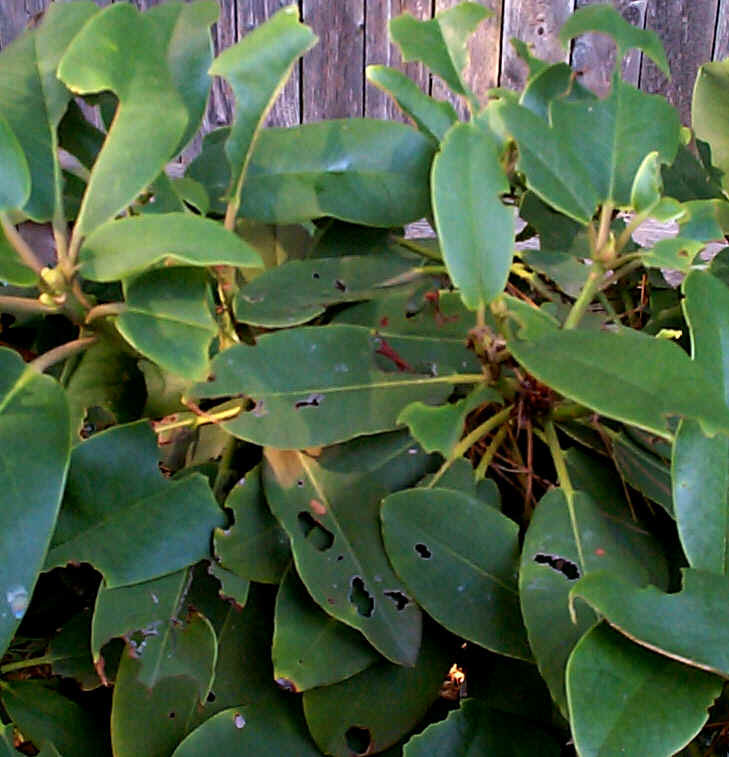 Spraying Orthene or Isotox on the foliage and under the plant helps to control this pest. Watch new growth to see if damage begins again or continues. Notching on leaves of herbs, annuals, and perennials is probably slug damage. Again feeding at night, slugs will leave behind a slime trail that may be seen the next morning on the stems of the plants. They feed heavily on plants, stripping leaves off young plants quickly. Use a slug bait such as Deadline or Bugeta.